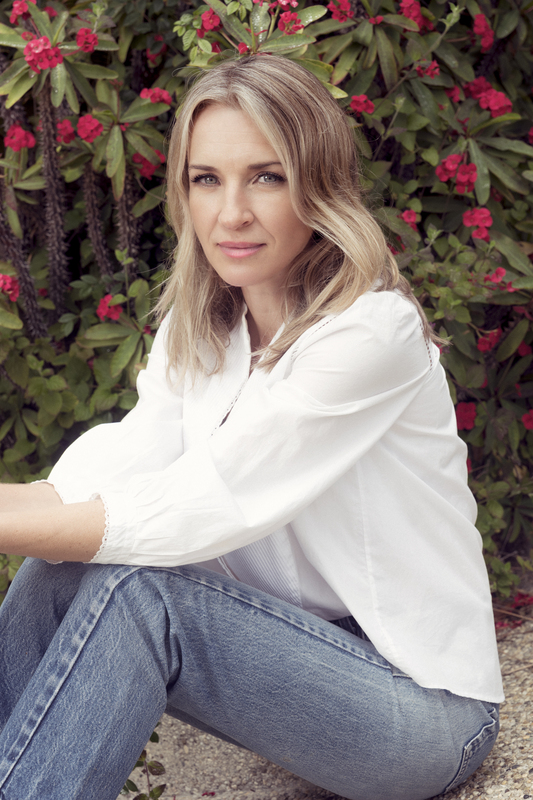 From HBO’s Shameless to My Boss’s Daughter opposite Ashton Kutcher, to her most recent project A Handmaid’s Tale on Hulu, actress Ever Carradine has graced both the big and small screen with versatility in her craft as an actress. To say that the thespian gene runs in her blood is no understatement. Ever reigns from the legendary Carradine family of actors, one of whom was her grandfather, actor John Carradine. She got the acting bug in college when she was cast in a play, had a wonderful experience and you guessed it- majored in Theatre Arts. After Ms. Carradine graduated college, she moved back to LA where she is originally from, got signed by an agent and the rest is history. 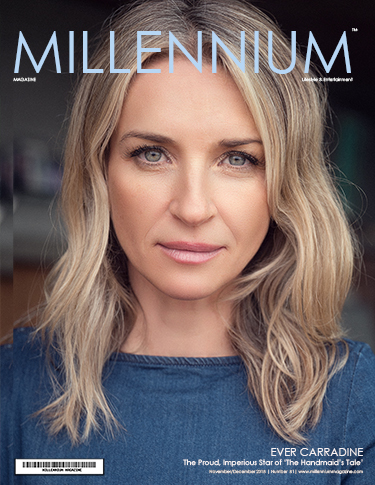 Ever Carradine is the queen of multitasking: aside from her successful acting career, she is a devoted mom to daughter Chaplin, 8 and son Sam, 3 and is married to musician Coby Brown. Her family keeps her grounded amid the busyness of going back and forth on the set and taping voice-overs in between mommy-mode. One of Ever’s favorite things to do is simply spending quality time with her husband and children. 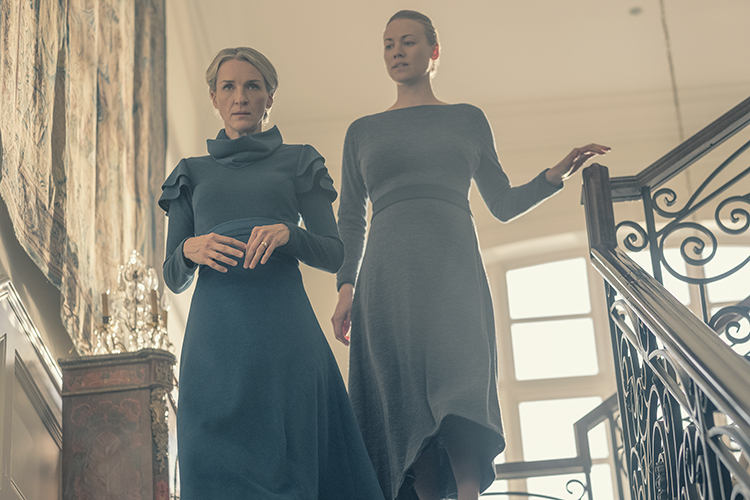 Ms. Carradine is currently playing the role of Naomi Putnam on A Handmaid’s Tale, a show that is based on a dystopian future where the fertility rates have plummeted, and fertile women who have no rights are used to bear children against their own volition for commanders to whom they are assigned to. Ever describes her character Naomi as “a commander’s wife who is harsh, abrasive and unloving. She’s a bitter and cranky woman- completely the opposite of who I am in real life,” Ever asserts. 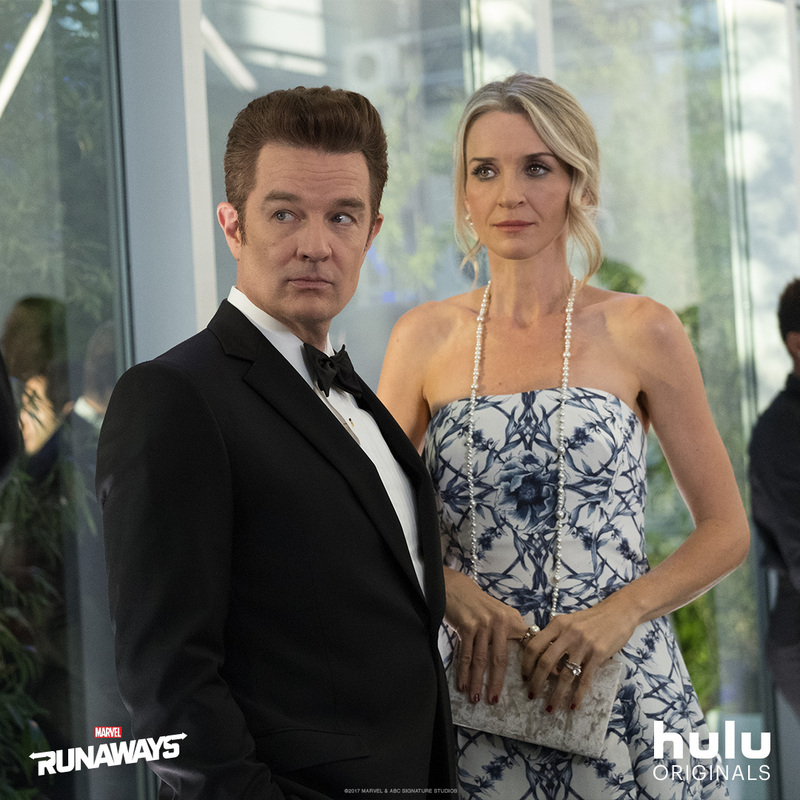 In addition to A Handmaid’s Tale, Ever is concurrently starring in another show on Hulu entitled Runaways, a story “a little bit like the OC or Gossip Girl but in the Marvel universe. It’s an awesome fantasy of Marvel and a fun show. Stephanie Savage and Josh Schwartz did a brilliant job writing the script for it and they allowed the characters to have time for an emotional reaction to everything,” Ms. Carradine shared. “We just finished up our second season and will be on Hulu December 21st,” the actress added. Ever plays Janet Stein on the show, the quintessential PTA mom and wife who wholeheartedly dedicates her life for her husband, a prominent character on the show (Victor Stein) and son (Chad Stein). Working with her fellow thespians is continuously a joy for Ever and one actor who she particularly enjoyed acting with was none other than Billy Bob Thornton on the set of Goliath. 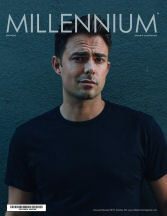 “It was amazing working with Billy. 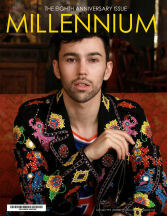 I’d been a fan of his work for so long, but I had no idea what he would be like. He was warm, funny and down to earth. Also very talented. Acting opposite him was effortless, and it’s not always that way,” Ever disclosed. It’s a known fact that performing artists need to maintain the appearance of their skin for the camera, premiers and red-carpet events. Ever keeps her skin flawless with routine facials from NYC-based Celebrity Aesthetician Joanne Vargas and her at-home skincare regimen entails products mostly from Vargas’ own skincare line. Speaking of food, Ms. Carradine enjoys comfort food from local eateries just like the next person. Some of her favorite spots to eat in her native Los Angeles are Poquito Mas, Otium and Katsuya. Poquito Mas is a cozy Mexican eatery where she and her family enjoy a Latin dish. Moreover, the actress clearly has a sophisticated palette: she likes to dine at Otium, a swanky establishment that serves a to-die-for meal in downtown Los Angeles. When she is in the mood for sushi, her go-to place is Katsuya, a contemporary Japanese cuisine that has multiple locations including Los Angeles, Las Vegas, Miami and Dubai. 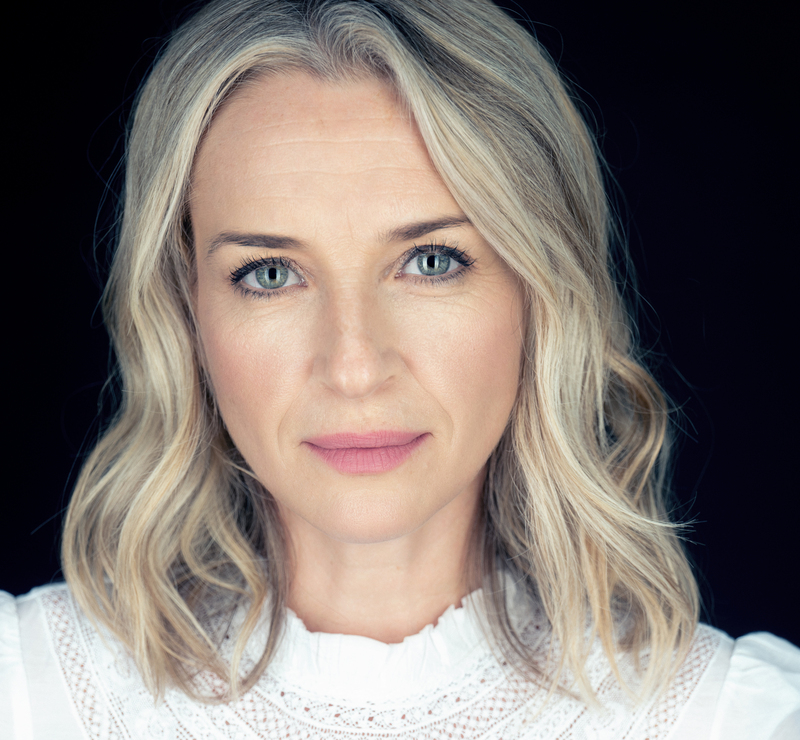 It’s safe to say Ever Carradine is blessed and lives her life to the fullest: with a supportive husband, two beautiful children, a successful career and a quiet albeit fulfilling personal life, she stays true to who she is and lives by her motto: family first, career second. That’s a wrap.